Under Create New Database, enter the name of the database in the New Database: text box. When ready, click Create Database. The new database is created and ready to use. You will also find the new database added to the Current Databases table. 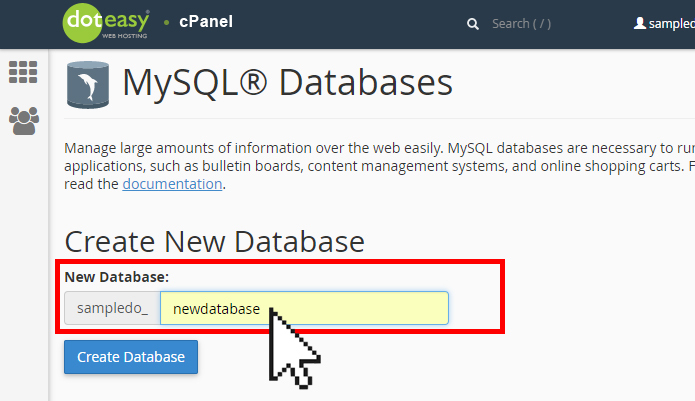 In order to be able to fill and maintain the database, you need to create and assign a MySQL user to it. Next step: You will need to add a database user.